Hello! We have some fantastic inspiration coming your way this weekend. I’t’s time to share a card made using Visible Image Stamps, the background is a technique I have taught at some of my recent workshops. and, the drips from Teenage Kicks. 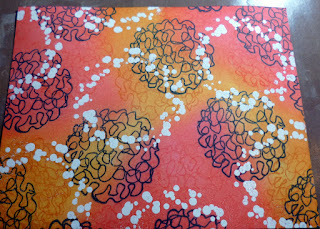 The background is acrylic paint, and on top of that I stamped the images with Versamark, and heat embossed using various Wow embossing powders: Black Glint, Totally Teal, and Sunset Orange. I highlighted all the images with a white pen, to make them pop. 10am to 4pm – £25 per person. Brilliant card Pauline, such an awesome background for our inky man.. there really is so much to discover! We will be back later with gorgeous inspiration from Becca! Good Afternoon! We have more fabulous inspiration here on the blog today. Today I made an entry that is special to me. I used the new Elemental and Fibonacci stamps, which are brilliant for creating backgrounds. These NEW background stamps are so versatile, and will add so much interest to your projects! 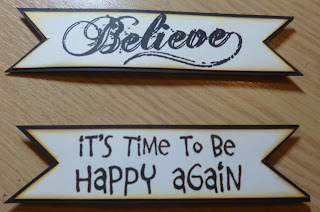 You will find more of Aga’s inspiring pages over on her blog. We have even more awesome inspiration coming your way today! Next up we have some brilliant tags from Veerle Moreels..
Come back and visit again soon!! I hope you have a spare 10 minutes today because I’ve been experimenting with my smaller Visible Image stamps and used them to create an inky & stamped Masterboard, and created a video of the process (which also includes the making of these 3 cards). Masterboards are so useful for sparking off ideas and they allow you to make either several completely different cards, or batch make some identical(ish) cards. This is one of my go-to techniques and I always use it when my mojo wanders off for a little while (as it did this week). I chose to make different shaped cards and I have 3 that I’m sharing in this post but I promise I’ll be brief about how I made them because the main instructions are in the video. This card is 15cm square. 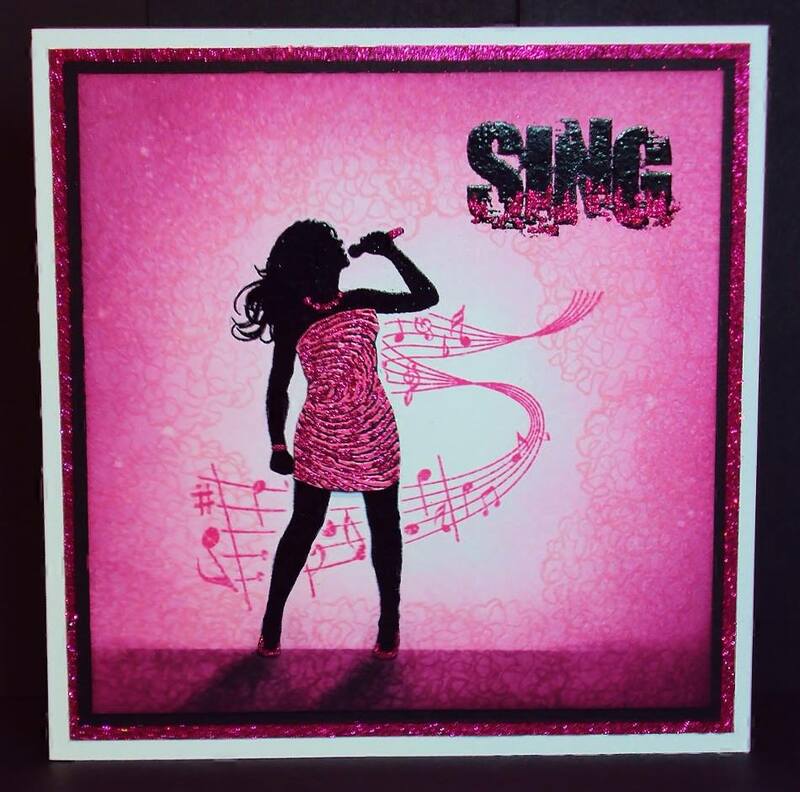 Stamp the singer onto plain white card and colour her dress in with distress markers that match the masterboard colours. Add a little shadow at her feet to ‘ground’ her. Stamp the small flower around the edge of the image in 2 alternating colours. Take a piece of masterboard, stamp the sentiment and adhere it to a square card blank. Then add a strip of co-ordinating orange card that has been embossed with a folder. Finally add the image raised up on fun foam. Here I’ve made a DL card. To make this, use a DL card blank and cut another piece of card the same size as the card front. Turn this panel over and use a pencil to mark where the sentiment will be, then draw the ‘split’ freehand, starting at the smallest point and curving upwards and outwards. Cut this section out with your scissors. Turn the panel the right side up and stamp the sentiment in 3 shades of distress oxide. Stamp one of the small sparkle rays in the same 3 colours right at the bottom of the split. Adhere some of the masterboard to the card blank and attach the panel on top. Finish with a pearl in the centre of the sparkle ray. This is an A5 card made from scoring and folding an A4 piece of card in half. For one of the challenges I have B for Blooms on this card. Stamp 3 flowers onto a piece of masterboard and fussy cut them out. On an A5 card blank, mask off and area where the sentiment will go (I cut post-it notes with a deckle edge die for this). Using a blending brush or ink dusters blend a coordinating colour around the masked area and out towards where your flowers will be placed. Stamp the ‘stems’ in place. 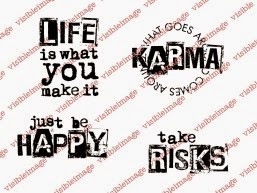 Remove the masking and stamp the sentiment. Add your flower heads, the first directly onto the card and the other two raised up higher on foam pads. Protect the flower you wish to glitter with some microglaze and then add some stickles. Set the card aside to dry. My video will show exactly how I created the masterboard (and these 3 cards). INKS: Versafine Onyx Black, Distress Ink (mustard seed, wild honey, picked raspberry, rusty hinge), Distress Oxide Ink (mustard seed, fossilised amber, spiced marmalade, twisted citron, picked raspberry, candied apple, iced spruce), Distress Markers (spiced marmalade, rusty hinge). OTHER: 3dfoam, white card, post-it notes, embossing folder, deckle edge die, blending tools, microglaze, stardust stickles. Follow Sharon’s YouTube channel for more inspiration! We’ll be back with more inspirational projects from our amazing team tomorrow! Good Afternoon! We continue our weekend of inspiration here on the Visible Image blog! Hello everyone and happy Saturday to you! Today I have a little hanging to share with you that uses so many of the gorgeous new Visible Image stamps. They may not be that ‘in your face’ (so-to-speak!) but they are definitely there when you look a little closer. Firstly I applied modelling paste through the ‘Fibres‘ stencil, and then added acrylic paint to give an ombre type effect. I’ve then used the new ‘Fibonacci‘ and ‘Elemental‘ stamps’ to add extra interest while also applying some Art Alchemy wax in Brushed Iron to some of the raised texture. 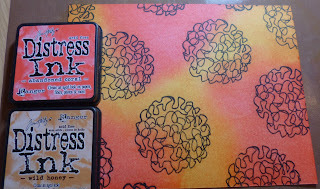 The backgrounds for the florals are made using using distress oxide ink pads and the ‘Tattered Floral’ Bigz die. I’ve loaded different colours onto and craft sheet, spritzed with water and dragged the card through the colour. Once dry, you can add yet more colour and get fabulous texture before die-cutting. To add the detail onto the flowers, I’ve used the new stamps (and some of the old) to add texture and more colour and then shaped and layered then up. Once stamped, I’ve edged the florals using a Vintage Photo Distress ink pad and given them a little spritz with gold ink and splattered lightly with white gesso. For a sentiment, I chose to use the ‘Creativity’ off the ‘Creativity’ stamp and heat embossed it onto a strip of vellum. This was then tucked around the hanger and secured using the florals and some small dabs of hot glue under the sentiment itself. Hope you’ve been enjoying looking at all the design teams inspiring projects over the last week or so… I know there are still some stunning makes to come so keep a look out for them! We will be back with more projects from our amazing team this afternoon.. stay tuned!! Hello! It’s Friday which means it’s the final day of our NEW stamps previews..
we are beyond excited to show you these!! AND… it also means that you can now pre-order them! YAY! We are incredibly excited to be launching our new stamps at Creativation next week.. These amazing projects will be blogged over the coming weeks! Hope you’re loving our new stamps.. all designed (of course) by Mark Alexander! Always striving to bring you incredibly cool, very different, and rather exciting designs!! We know you will love creating with these awesome new stamps.. If you are heading to Creativation we wish you a safe journey..
you will find us @ Booth #539 in the International Pavilion! Come and say Hi !! Thanks again for visiting us here on the Visible Image blog today, have a fantastic Friday! Hi there! We hope you’re having a good Sunday. I used my Gel Press for the monoprinting techniques. For the first layer I mixed a couple of acrylic paints on my Gel Press and transferred the paint directly onto the tag. Whereas for the second layer I put a stencil between the tag and the monoprinting surface. 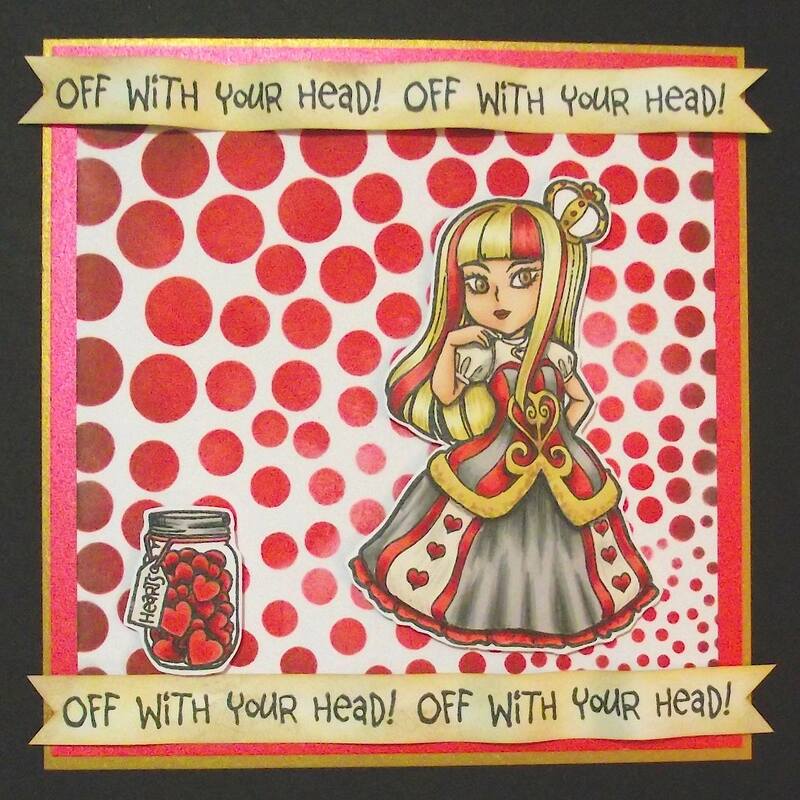 You will find more of Josefine’s wonderful cards and projects over on her blog. We hope you have enjoyed seeing these fantastic tags and video from Josefine! We will be back soon with fabulous inspiration from Pauline Butcher. Well today is an exciting day! I begin my journey using the inspirational products from Visible Image. What better way to start than with a bang!-it is the month of fireworks after all! 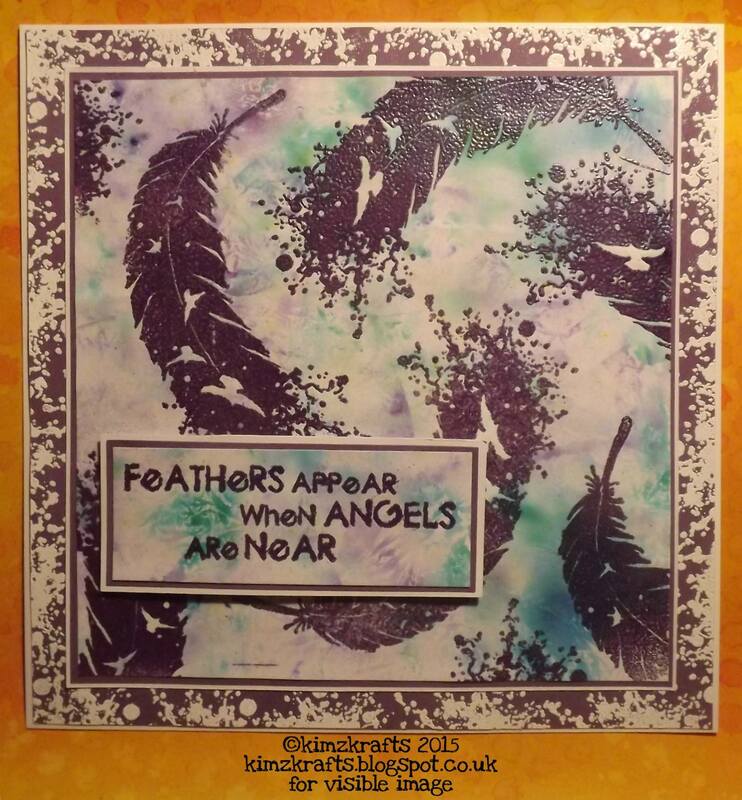 line an A4 canvas with Sheena stamping card. 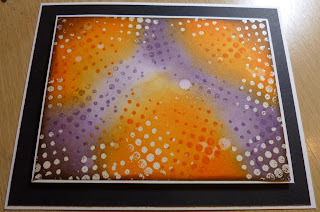 Take the stencils and randomly spray sections of the canvas using coloured ink sprays . I used distress ink sprays. Next using the dark blue spray darken the top and bottom of the canvas to create a night sky effect. Take the large stamp and stamp the image a few times in a couple of colours on top. 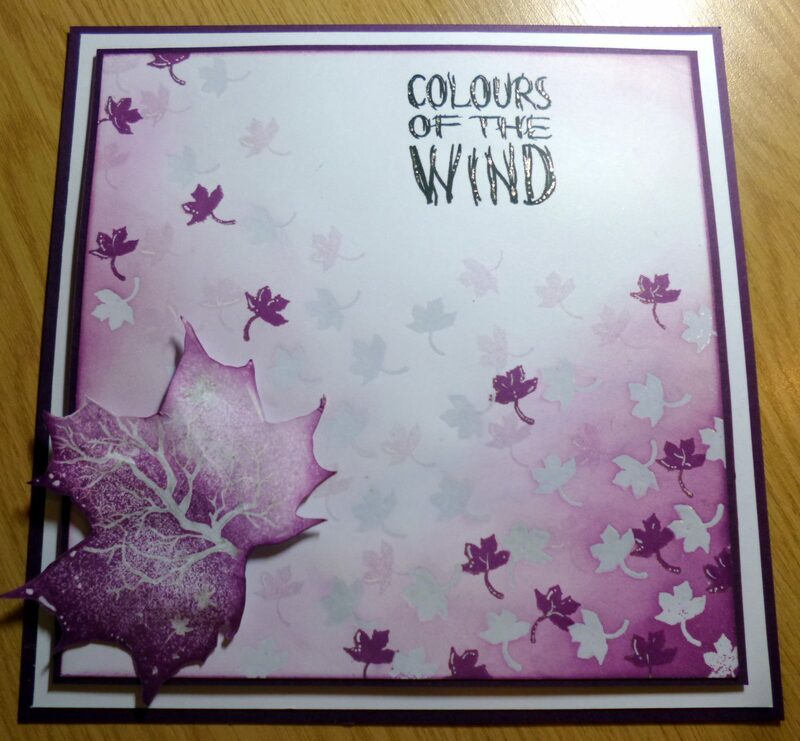 To highlight the stencilled shapes go over some areas again using pink and purple distress oxide ink. It’s a good ink for adding light chalky layers. Then comes the fun bit! When the background is dry cover with an anti static powder and select a range of different colour glitter embossing powders. I used wow powders. Using all the stamps stamp in different colours and sizes with the main area towards the top to create that popping firework effect. 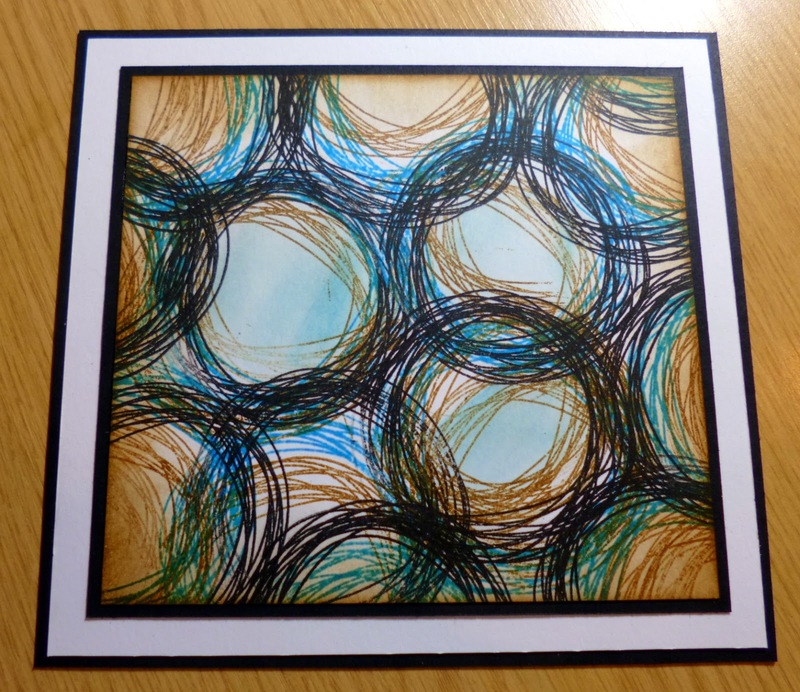 Finally darken around the edges with dark blue and black ink so the centre of the canvas becomes the focal point. Ink a rectangle of card in complimentary colours and heat emboss the sentiment in black glitter powder. I also made this more sparkly using diamond stickles on top. It was a lot of fun. Have a go. The stamps and stencils were super easy to use! Wow! Such a striking piece! The sparkle is incredible! You will find more of Lisa’s stunning projects over on her blog. We will be back tomorrow with the very first project from Elisa Ablett! Thanks for visiting our blog today, have a great evening. Hello there! Thanks for coming to visit our blog today! 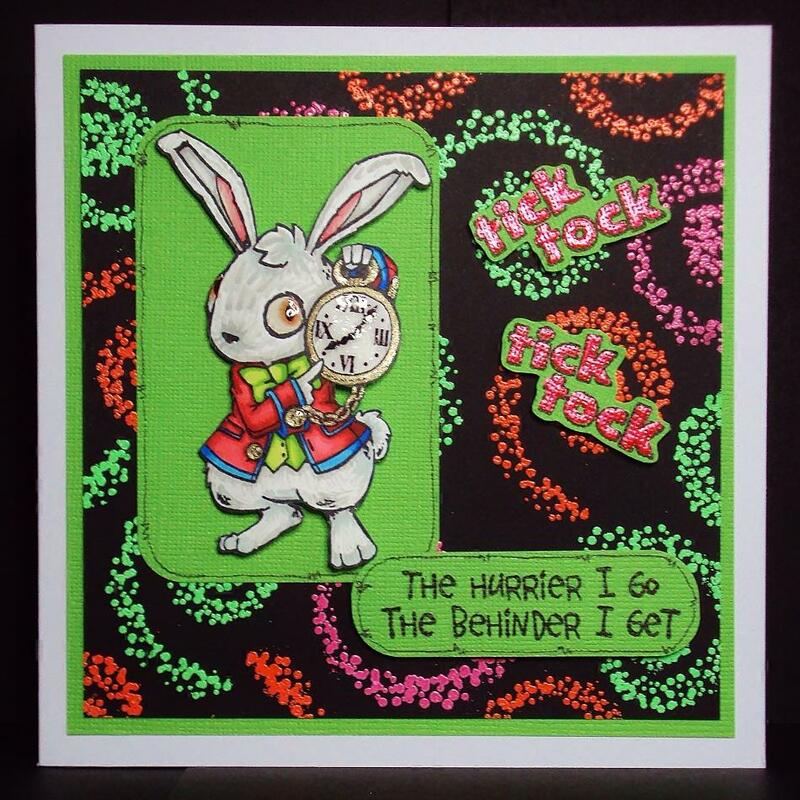 It’s Helen here today sharing a card I made as inspiration for this month’s challenge over in our Facebook group. 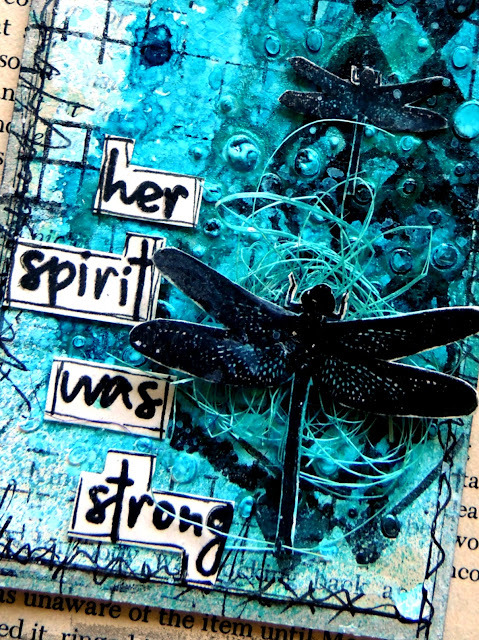 The theme this month is ‘Express Yourself’… creating a card, tag, mixed media project or journal page which has words as the focal point! Next I stamped some of the brilliant circles from our ‘Universal’ set in lime green, then splattered some diluted white paint. adhered them to my card with glue gel before adding a blob of paint to the centres! It was a lovely sunny day so I sat my card on the patio outside our studio! We are also celebrating reaching 3000 Facebook group members this week, so if you haven’t joined us there yet come on over! Thanks so much for visiting our blog today, we will be back with more gorgeous inspiration tomorrow! This week I have another of the cards I created for the Create and Craft sellout show. 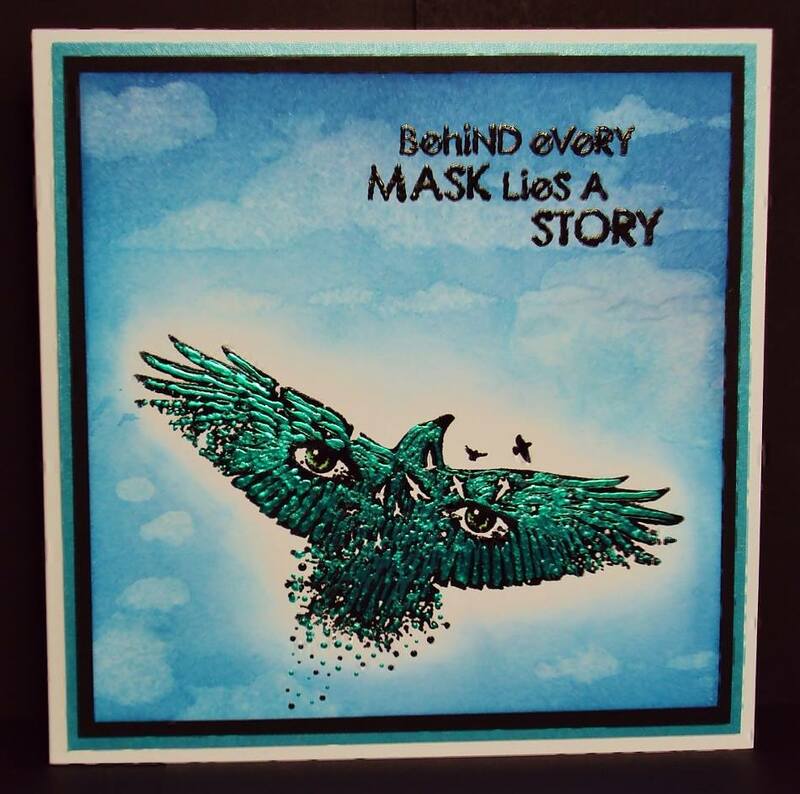 This one uses the beautiful Visometry set along with a really cool sentiment. I then stamped the Visometry stamp with Versamark and embossed with white embossing powder. 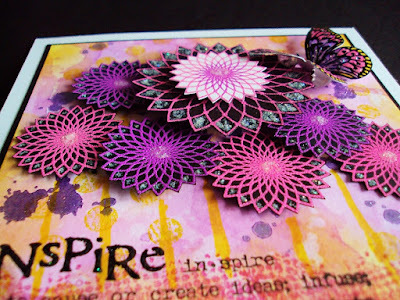 I love how you can align these stamps to join them together and stamp larger designs. allowing the colours underneath to affect the tones – it’s a nice effect which works well with these words. Thanks to all of you who tuned in to watch the show and make it the massive success that it was. to the Facebook group as well as our regular Show and Tell! What a stunning card, love the pastels of the oxides with that white embossing ♡ Thanks Teresa! Aren’t our Visometry stamps just so awesome! We hope you have enjoyed today’s inspiration! Hello there! It’s now Day 11 of our NEW stamps previews here on the blog! We’re showing you something awesome from our February release every day up until January 27th! You will never tire of using that awesome inky script! And the old French street map will work perfectly with our NEW Destination Unknown set! and we will be shipping worldwide week commencing February 13th. Come on over to our Facebook group to join in the chat about our NEW releases. See you back here tomorrow for preview #12… more brilliant words for journaling! For today’s post for Visible Image I have made a card. 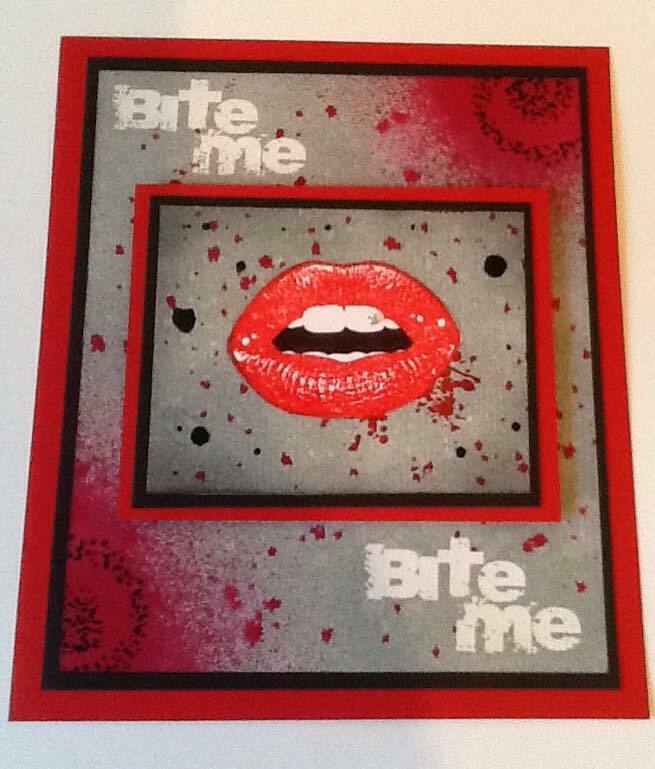 I used a gelli printed background. I think this one was from mopping up leftover paints from the plate. 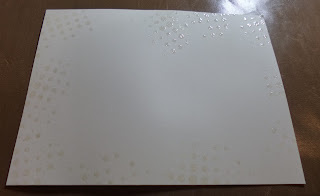 I added the white circles by stamping with VersaMark and white embossing. I also added some black splatters by diluting black acrylic paint with water and using a round paintbrush to splatter; I just tap it onto another brush or pen to make the paint come out in splatters. I then stamped the sentiment and stamped the cat on top of it. This is really easy as the stamps are clear and you can see what you are doing. I then stamped the cat again on white card stock and coloured her (I added eyelashes to make her a girl) with Copic Markers, cut her out and adhered her on top of the one on the card. I then glued the panel onto a white card base. 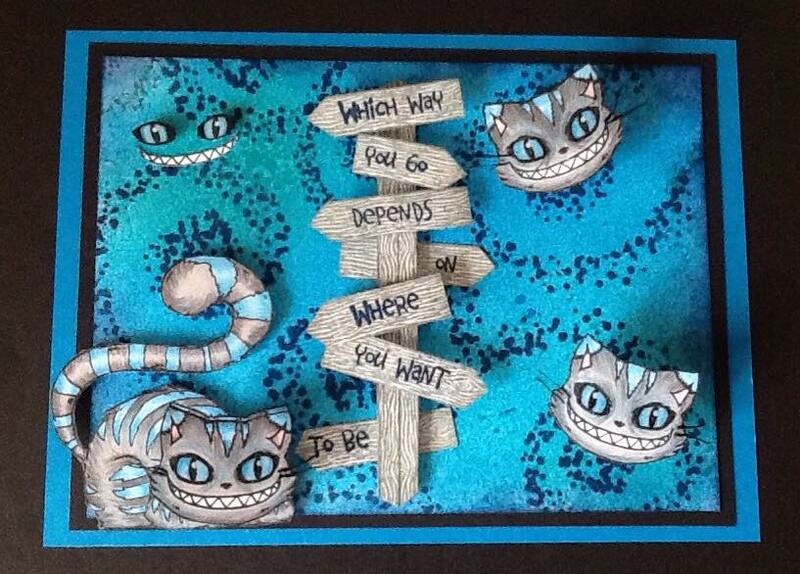 And of course: Cheshire Cat …which has been so popular it has sold out! Amazing card Corrie thank you! Adore that background ♡ You can find more of Corrie’s fantastic work over on her blog. We will have NEW stamps preview #6 here on the blog later today! And Dot will be here tomorrow with more fantastic inspiration! If you have missed any of our NEW stamps previews or recent posts, you will find them HERE. Hi there! Thanks for visiting our blog today. 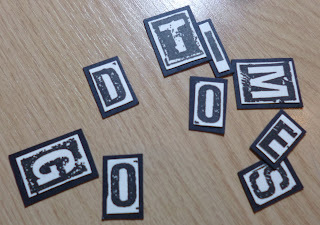 It’s Fabulous Friday, and my day to share a project I’ve created, using some of the awesome Visible Image stamps. and the butterfly is from Own kind of Beautiful. For the background, I put some Picked Raspberry & Wilted Violet distress inks onto a glass mat, spritzed them with water, and squidged my card into them, I did this 2 or 3 times, drying the card in-between to stop it going muddy. when this was all dry, with my distress tool, I added a touch of Squeezed lemonade DI to the edges, and a bit in the middle. 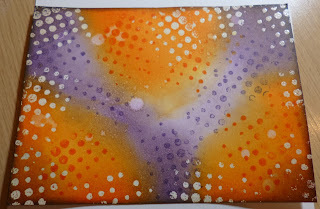 Next, I stamped using the dots and Mustard Seed DI, and some of the ink splats using purple Starlight paint. On a piece of black card, I stamped all the flowers, (6 small 1 large) using Versamark, and then heat embossed using Pink and Purple embossing powder from Lindy’s Stamp Gang. I fussy cut them out and thn decided to add a white medium flower to the centre of the large one. I also added some Stardust Stickles to the flowers. 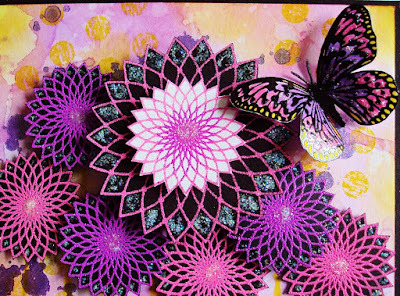 I stamped the Butterfly again using Versamark, and heat embossed it using a Black embossing powder, coloured it using Distress inks, and fussy cut it. The stems of the flowers are drawn using a Yellow Sharpie pen. You will find more of Pauline’s gorgeous work over on her blog. Our Visometry stamps are super cool! Have you seen the first preview from our February release yet? You’ll find it HERE! See our NEW stamps previews every day here on the blog! Preview #2 is coming later today! Don’t miss this weekend’s giveaway over on our Facebook Page! Hello! Thanks for stopping by our blog! Today’s inspiration comes from me.. Helen! If you missed my post earlier this week you’ll know that I am embarking on my own personal ‘inky journey’ this year. I hadn’t crafted since I was a child, and having only made a few cards and tags over the past 5 years (since meeting Mark), I have much to learn! Writing is my passion, words are my ‘thing’, so I’m really excited to see where this year takes me, now that I have a bit more time to be creative and messy! I wanted to get the brushos out as I just love the randomness of them.. you never know what your background will look like and it’s so much fun experimenting! I prefer to sprinkle first then spritz with water, and then add more powder in places to get a deeper effect. My card was really wet so that I could hold it up and let the paint run. I just love the black so had to add some of that! Once dry I chose my favourite part and cut it to size to fit one of our MDF Monoliths, so that I could create a piece of home decor rather than a card. I randomly stamped the dotty circle from our Universal set in first and second generation stamping, using Wilted Violet Distress Ink. 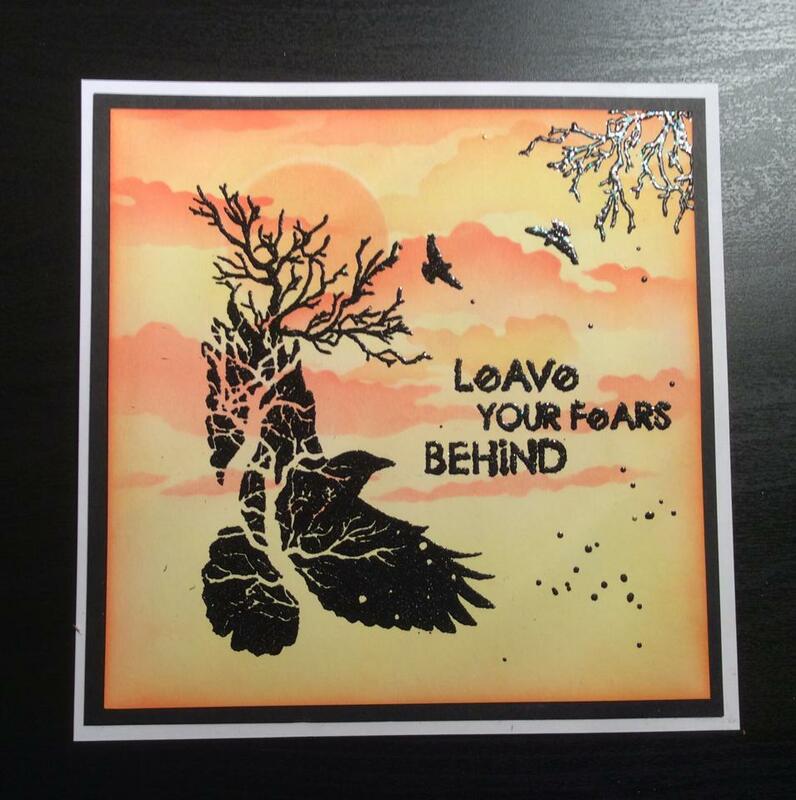 Then stamped and embossed the gorgeous sentiment and dreamcatcher using stampendous detail black. I distressed all around the edges of my card with black soot. I then splattered some black and white dylusions paint, and added some colour to the dreamcatcher using distress inks, and last of all added some sparkle with a quickie glue pen and some fine glitter. I had originally painted my Monolith white but I didn’t feel it looked right, so had a last minute change of plan and gave it a coat of gorgeous purple! I think it turned out quite well! My very first Monolith! What do you think? 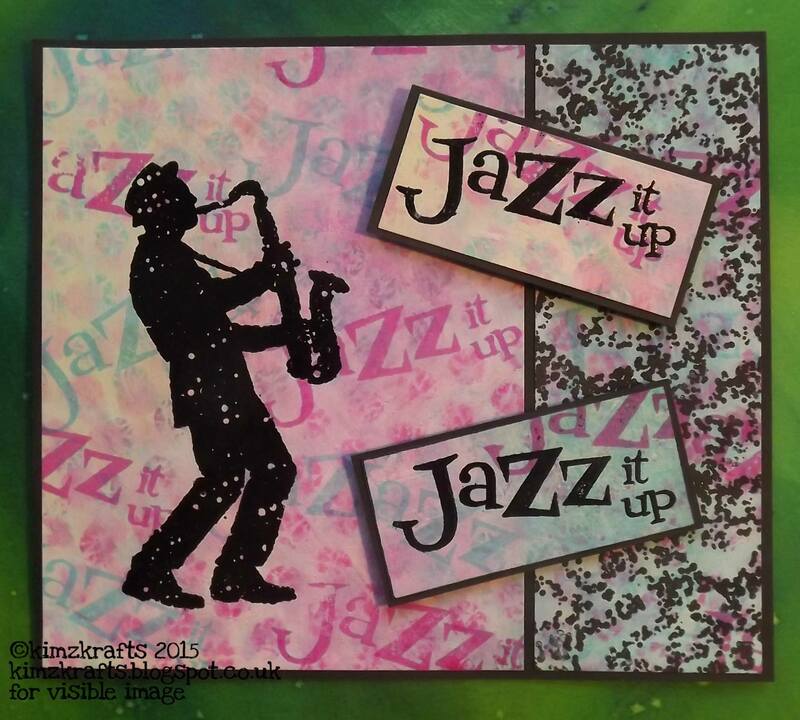 While I was waiting for paint to dry I used some of my ‘practice’ brushos background to make a matching card. I randomly stamped some more of the awesome background stamps from our Universal set using a few different colours, I think they work perfectly with brushos! I wanted to keep the dreams theme so stamped and embossed one of my favourite Visible Image sentiment stamps in black..
And again randomly splattered some white dylusions paint. I distressed the edges of the card with black soot to give it more depth, before mounting on my card blank. I really love how it turned out and how incredibly quick it was to make! So here they are together..
You’ll find lots more Visible Image inspiration here..
Blog see all our latest posts! Facebook group …join in with the banter and enter our ‘Show & Tell’ Challenge for your chance to WIN a £25 coupon! Come back tomorrow to see some awesome cards from Veerle Moreels! And a video too! Hello 🙂 We are back with our second inspirational project today! 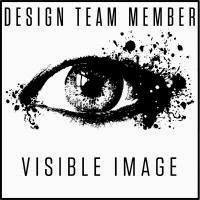 I’m so excited to reveal my first projects as a design team member of Visible Image. I want to thank Helen and Mark, the lovely owners of Visible Image, for this opportunity- working in this talented team is a great honour! 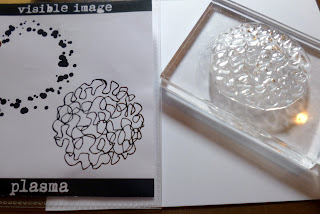 Every other Wednesday I will be showing a new project I have made using Visible Image stamps. I hope will like my creations! I started with painting the tags with white gesso. Manila tags do allow you to use wet media, but a thin layer of gesso still makes the surface easier to work with. In addition, gesso is great for creating texture: I was using a large, wide brush, so once the gesso was dry the tags were covered with fine brush mark lines. Cool! For colouring the tags I used my favourite watercolour media; water-soluable Neocolor II crayons. I coloured the tags leaving some spots white, and blended the crayons with water. To mute down the colours I brayered a thin layer of gesso on top, and once all the layers were dry I was ready to decorate the backgrounds with stamping! 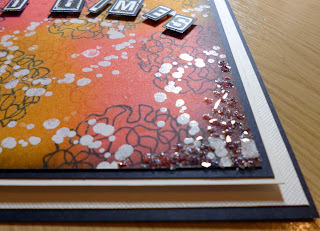 Usually when decorating a background with stamping I don’t mount the stamp on an acrylic block. 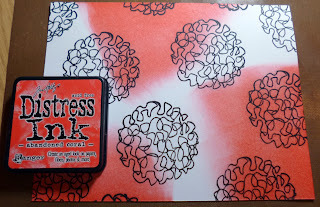 Creating random patterns by bending the stamp is much easier with a non-mounted stamp. However, this time I wanted to stamp with acrylic paints, and spreading just a thin layer of paint on the stamp was so much easier when the stamp was firmly on the acrylic block. Remember when stamping with acrylic paints, gesso or gel medium always to clean your stamps right after stamping. I’m not too good at cleaning my stamps, but I never leave acrylic paint on my stamps. If the paint dries on the stamp you will not get it off and your stamp is ruined! For cleaning my stamps I like to use a very soft toothbrush; it cleans the stamp properly but yet very gently. The black heat embossed faces were stamped using the mirroring image stamping technique. I stamped the mirrored image on fun foam and was surprised how well that worked. There’s no need to stamp on the back of my stamps anymore! For the second tag I used the same ‘Woman INKognito’ stamp again, but as the main background colour was black/grey, I covered the image with purple embossing powder instead of black. 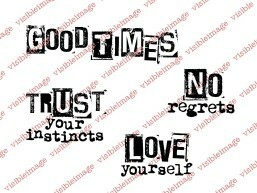 The lovely quotes are from a stamp set called ‘Imagine Dream Inspire’. I’m sure this set will be used for many projects in the future, it’s so versatile! We are so lucky to have such an amazing team creating incredible projects with our stamps! Hope you will pop back later to see today’s NEW stamps preview… unless of course you already saw it on our Facebook page! Today’s make for Visible Image is a clean and simple tag card. I’m often asked what I do with the tags I create and they make great cards – simply cut another tag, fold a small flap at the top and adhere the flap to the back of the decorated tag to allow it to stand. I stamped the overlapping circles in black Archival then coloured each one with Distress Ink – I used Twisted Citron, Abandoned Coral and Cracked Pistachio. 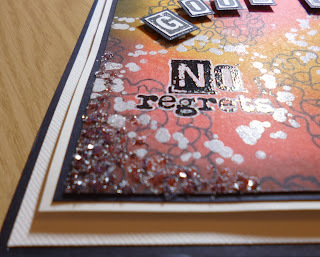 I stamped a splat in black inside each circle to add detail. I stamped the words and cut them out individually before mounting to the card on 3D foam pads. I matted the tag onto black card and created a back as described above to allow it to stand. This card really highlights how brilliantly words can work as a focal point when combined with abstract or background images. Hope you like it! We will be back later with the debut post from Elina Strömberg! AND we cannot wait to share today’s NEW stamps preview too!!! Hello There! We’re so excited for this next preview from our February release! Are you ready for some VISOMETRY? Our BRAND NEW range of stamps for backgrounds and more! Don’t miss out on our January SALE here on the website, and our Freebie Friday giveaway over on our Facebook Page! Come and join our Facebook group too… share your cards and projects in our monthly ‘Show & Tell’ challenge, and enjoy some banter with other Visible Image addicts! Hello and thank you for coming to visit us here on the Visible Image blog today. I used a paper mache torso mounted on a wooden spool and coaster for the base. A couple of coats of gesso prepared them for decorating. I used DecoArt modelling paste and a burlap stencil to add texture to areas of the torso. DecoArt Crackle paint and antiquing cream was applied to the stand. I used the Universal set of stamps to add pattern to the torso, embossing with WOW embossing powder in white, pink and silver. Blue mica spray added extra colour. 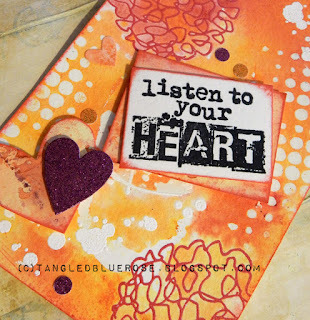 The sentiment is stamped and embossed onto tissue paper before being glued in place with Mod Podge. I added silver Stickles and blue gilding wax for extra sparkle and shine. Some pretty floral trim adds the final decorative touch. I’ll be back with more inspiration next Thursday! We will be back tomorrow with fabulous Friday inspiration from Pauline Butcher! Our NEW DT members are eagerly awaiting their first packages of stamps and we cannot wait to see all the wonderful things they create ♡ And just wait until you see our first new stamps release of 2016.. !!! We won’t keep you waiting too long. Hope to see you back here tomorrow, and hope you’ll leave Teresa a comment. So here on the blog today we have triple inspiration for you from Pauline, Susanne and Doreen. It’s me, back again, spreading some Visible Image love, superb deeply etched photo-polymer uniquely designed Stamps, which I love to use, can you tell.. lol !!! The lips from Bite me, Smile, Sparkle, Shine, Ripped Fishnet, Ink Splats, and the straight stamp from Edgy. 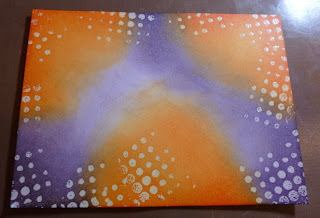 This week, just for a change, I’ve used a 5″ x 7″ canvas, which I primed with 2 coats of white Gesso. Whilst that was drying, I stamped my main images, the lips and the sentiment, onto some heat resistant acetate, using versamark, and heat embossed them with some pink sparkle embossing powder and fussy cut. Right, back to the canvas, I added some grunge paste through a stencil, and dried with my heat tool. I spritzed it all with water, and sprinkled Brusho paints onto it, spritzed with water again, and then let it all drip down. I also mixed some red Brusho with water, and let that drip down too. Using some gold paint on the Ripped Fishnet and Edgy stamps, I stamped randomly over the canvas. I found an old jar of white ink in one of my drawers, which had gone very thick, but it was perfect for the white drips and circles !!! I edged the canvas with gilding flake, then glued the lips and sentiment into place, and lastly added Stickles for more sparkle. Join us in the Facebook Visible Image Group, lots of inspiration and banter HERE. Helen and Mark (the awesome couple behind the Visible Image Stamp Company), are getting married next Friday 7th August, I am sure you will join me in wishing them an extremely happy Wedding Day, and long, loving and prosperous years of wedded bliss. WOWZA! What a bold, colourful, awesome canvas! We LOVE it! Have you got your hands on our amazing lips stamp yet?! You will find more of Pauline’s fabulous work over on her blog. Hope you are all well and enjoying the warm weather, It is so nice to walk into work with the sun shining and the feeling of warmth on your skin isn’t it. No coats and brollies Haha. 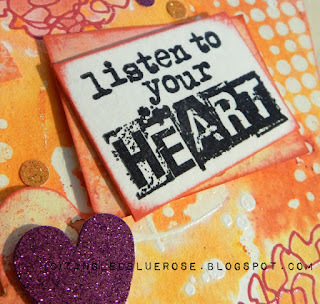 I have a little card today created with just one back ground stamp and two sentiments to keep it simple and show you how you can layer again on the backing and then let the gorgeous sentiments speak for themselves. So lets get started on how to put this one together. It is of a fairly easy level so can be put together quite quickly if you needed to. 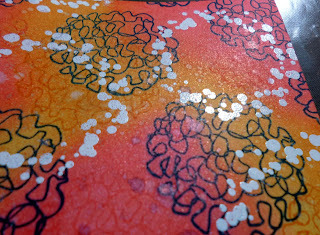 To start I stamped with embossing ink and the Retro dots Background hand held not on a block and randomly stamped around the edges using clear embossing powder I then heat set it and that is the shiney dots you can just see in the above picture. Next I took a couple of inks dusty concorde and spiced marmalade i believe and started to add some inking down on paper just to get the first layer into the card. I added a 2nd layer of ink and then took the retro dots and used the same inks to add a little tone on tone dots in the background too. Then I took a very dark brown ink and edged all around the card to just bring the eye in a little. i also took my water spray and spritzed the card and dripped water onto the ink and blotted off to create some large drips too. 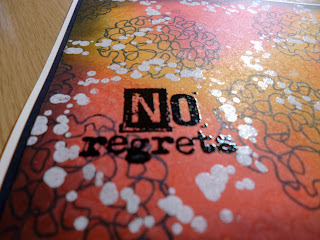 Next I stamped the gorgeous sentiments I chose to use on this one. Then made a double mat for the whole thing to sit on. I added some pretty thick foam to the back of the inky piece and added it to the backing this would work either horizontally or vertically which ever way as I kept the pattern fairly neutral in style. I took the sentiments from earlier and inked the edges slightly with the marmalade and walnut stain inks then added a small black mat so they didn’t get lots in the inky backing. 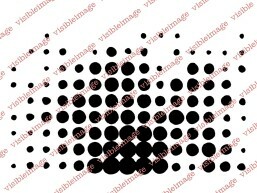 Believe is one of the Visible Image older designs which some of you may have in your collection. This was one of the new fabulous June launch sentiments, and I love them all they are so different from anything else out there, and we love unique don’t we folks. 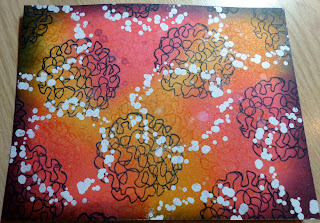 Well I hope you liked this weeks card here is a last look before I show you the stamps I used. All I added was some simple pearls to the corners these are 6mm in size. I kept it all about the words as they mean a lot to me. 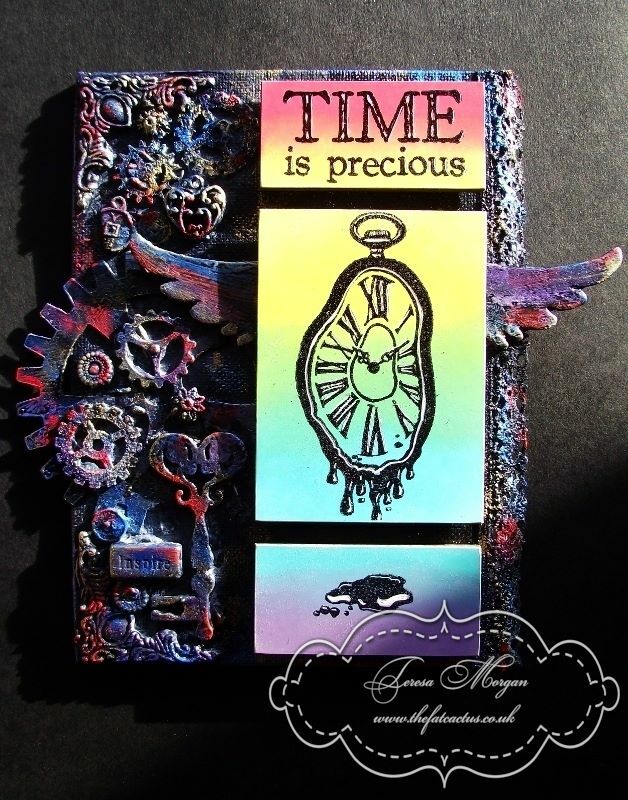 If you are a journalling or scrap booking person wouldn’t this be absolutely fabulous wording for that. So that was this weeks stamps used, sometimes it just needs to be really simple and doesn’t need anything else. Other times I like to be really detailed too, it’s good to be versatile isn’t it. Ok folks I will see you all next week. We will be back a little later with 3 stunners from Pauline using distress inks and cling film! Good Afternoon 🙂 We are having some crazy weather here in South Wales today! Gorgeous sunshine then thunder, lightening and torrential rain! We have double inspiration again for you today here on the Visible Image blog.. Kim J our US Design Team member will be here a little later with an awesome project. Sundays really do come around quick don’t they. Time for a couple more projects using the fab Visible Image stamps. The background on this card was created using the Bleeding Tissue Technique, nice and easy to do, with lovely results. 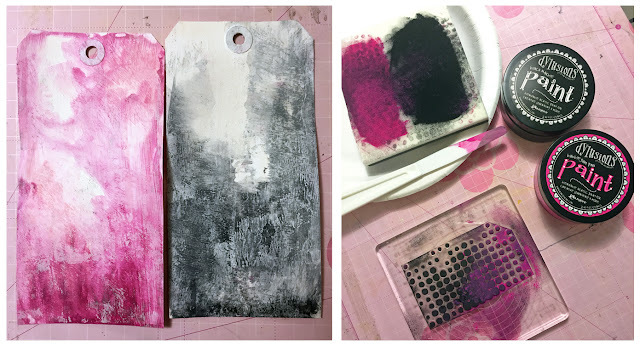 I love making tags and the background on this one was done with AquaTints. 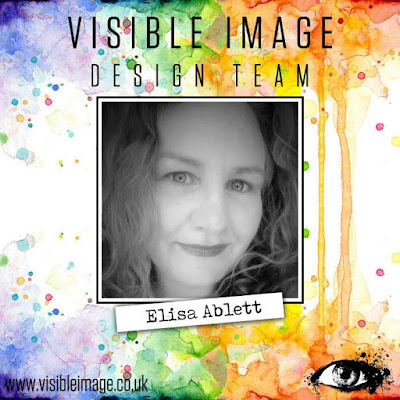 Join the Visible Image Facebook Group where you can see the daily DT inspiration, enter the monthly ‘Show & Tell’ contest, and it’s the place to find lots of other Visible Image fans. LIKE the Visible Image Facebook Page, where you’ll find all the latest news and information. See you again next Sunday. You’ll find more of Karen’s fantastic work over on her blog. 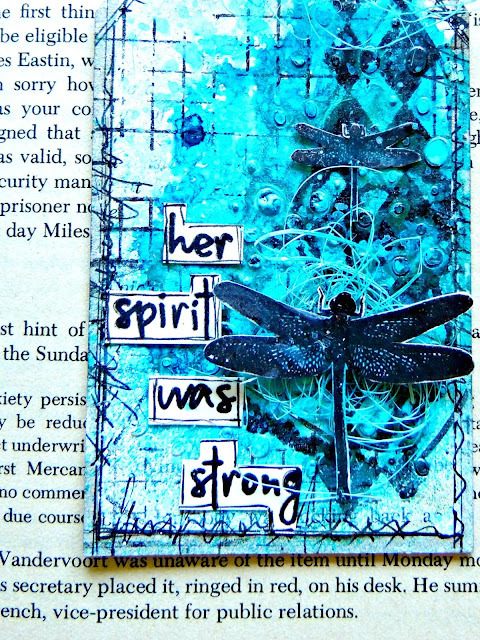 Come back later to see what Kim J has been creating with her Visible Image stamps! Good Afternoon 🙂 Hope you are having a good week so far! Well look at that sunshine we have been treated to recently, isn’t it so nice to leave work and there still be light and warmth too…. How are you all this week ? what have you been making? I have been doing lots of crafting all over the weekend toward the fabulous new launch for Friday for our lovely Visible Image, amazingly gorgeous new stamps coming out on the 12th and I am sooo looking forward to all the fun. Today I wanted to make something that reflected the bright Sky and happy feel of summer so here is my this weeks card for Visible Image DT. It has some real fiery colours used on this one, the new Abandoned Coral and Wild Honey with a tiny touch of Black Soot around the edges to bring your eye in. I am using the background as a feature for this one, rather than a huge focal point, so I have tried to keep it really bright and with lots to look at coming through in the background. My Usual colouring in technique with the first distress ink which is a new colour out this year called Abandoned Coral and this is what the first layer looks like, this is where it can be as patchy and all over and don’t give up it will come right the more inky layers you do the more it blends. Just like eye make up, the more light layers and blend in between the longer it lasts. Here’s the second colour mixing with the last shade to form a real tutti frooti like goodness. the second colour of course is wild honey and where the two colours meet you get a real nice blend and an orangey glow. After a few coats of colour I did my usual tone on tone using the same stamp I stamped some coral plasma balls in the Coral parts and Honey in the honey sections, etc. 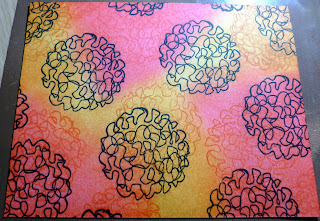 Next I used the other stamp in this Plasma set and used some white Embossing powder with perfect medium sticky ink but first i dried the background thoroughly and rubbed over with an anti static bag and got it all very coated so none of the white embossing powder would stick to the ink on the card. I spritzed a few blobs of water here and there gave it a few seconds then dabbed the ink away from the card to leave a few light patches for bubbles etc. I also gave the card front a good coating in the tattered angels glimmer mist, this colour is a pink shade shot through with goldy/bronze Mica to add a real sheen to the card.Very pretty. I tried very hard to turn the card in the light to pick up the gold but you cant see the gorgeous sheen and stunning colour it is in person really, just faintly. I took some black soot distress ink and added it to the edges of the card, to draw your eye in to the centre where we did all the work on colours etc and blending I stampedNo Regrets which I embossed in shiny black embossing powder , here is a close up. I used my black versafine and very quickly added the embossing powder too it before the archival ink started to dry. I added a couple of mats just in simple black and white to give it a finished look as always. 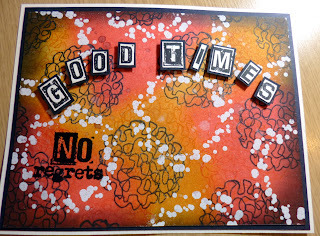 Next I stamped out the Good Times sentiment on white card in black ink. but then I cut them all apart and matted them on black card too. I raised each one on a piece of foam to have them sitting a little proud on the backing. I really wanted some sparkle on here, just a small amount but something really sparkly and I recently got some crushed glass glitter to try out and wow …. it is soooo sparkly it is crazy and even the camera picks it up a little. I used this diamond dust just on the bottom two corners over glossy accents, just random dots all over the corner and the dust sprinkle on patted down and excess tipped back in pot. My goodness, I love this stuff! Here is the close up of the left corner and below is the right and you can actually see even in these camera pics that there is a lot of clear sparkle , it truly is very pretty. And here are a couple more finished images of this weeks completed card. 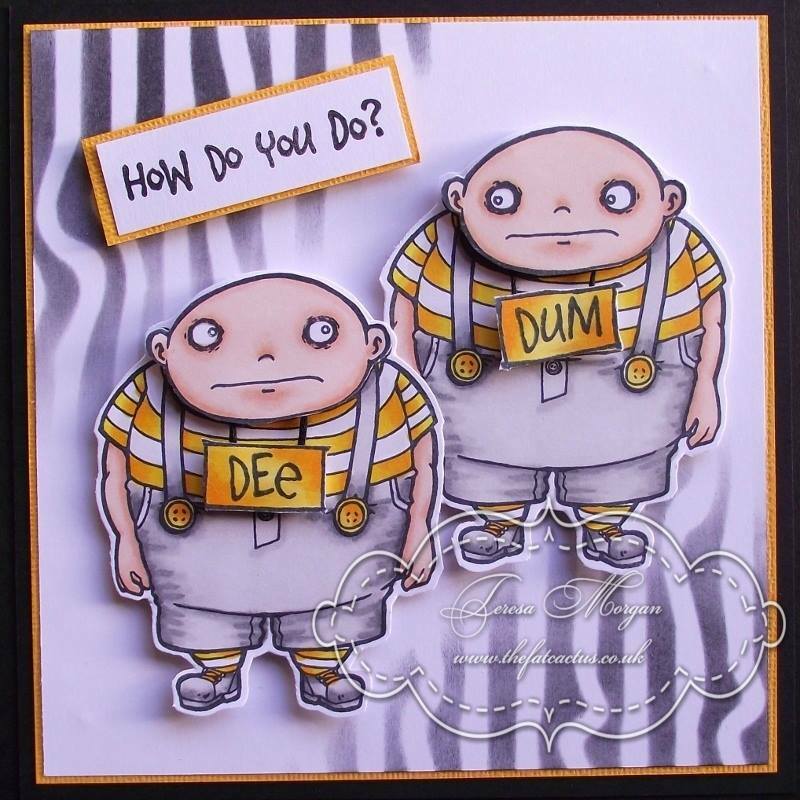 Lots of steps but not a complicated card with blending practise and inky layering goodness and lots of fun. I hope you are all having a good week , can you believe it is Wednesday again already.. I know I say it every week but it seems to have gone extra extra fast this week lol. 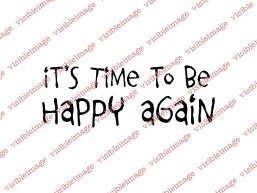 Ok my lovlies Don’t forget to come back this Friday for the new launch for Visible Image goodies! You’ll find more of Kim’s stunning work over on her blog. Hope to see you back here this evening. We had an amazing time at The Big Stamp and Scrapbooking Show at Ally Pally at the weekend, we met lots of our fabulous customers and Facebook group members, and we met lots of new customers too! Some of them are already addicted after just a few days 😉 We had quite a few sell outs so we came home with a full order book! We did manage to grab a day off yesterday (did nothing much except sleep!) so today there’s a lot of catching up to do!!! 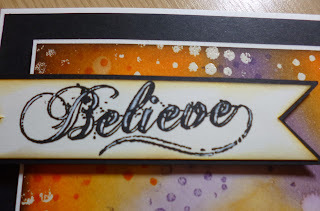 Where does the week go, I can’t believe it is Thursday again already and my turn to share some more stamping inspiration for the Visible Image team! This week I have two cards to show you using some of the fantastic background stamps that are available in the shop. 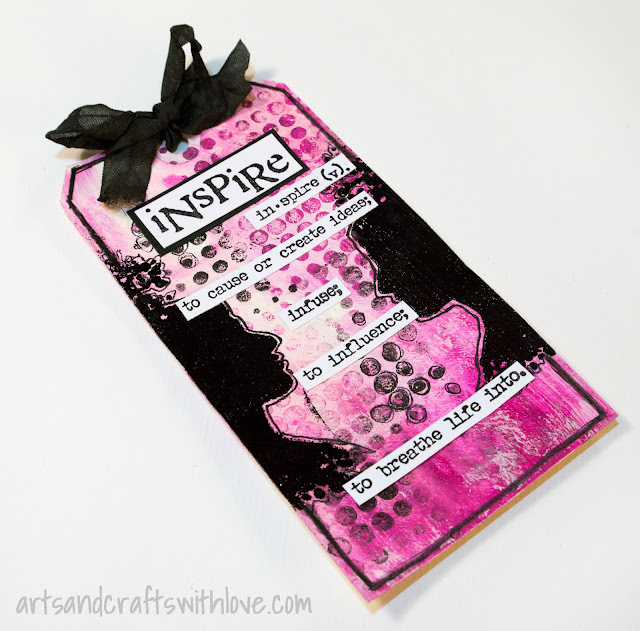 I stamped the Brick Wall stamp twice with black Versafine ink then added the Ink Splats and drips (from the Drag and Drip set) using Versamark ink and WOW fluorescent embossing powders. 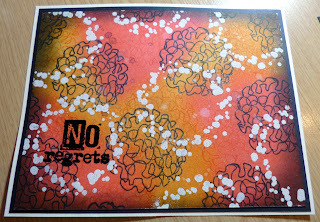 I stamped and embossed one of the Ink Splats onto another piece of card then stamped and embossed the sentiment in black over it. 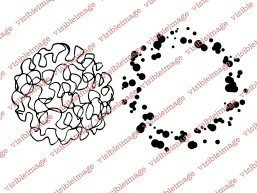 I love the new squiggly doodly background stamps in the shop! 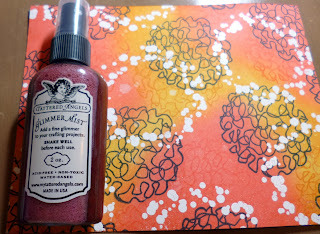 I stamped one of the stamps in the Plasma set randomly with Mustard Seed, Peacock Feathers and Picked Raspberry Distress Inks. Once dry I stamped and embossed(in black) one of the stamps from the Orbital set to frame each circle. The sentiment is stamped and embossed in black, then matted onto yellow and black card. We are having a big 3000 members party on Facebook – contests, prizes and much more!! If you haven’t found us yet then follow the links below..
Two awesome cards from Teresa! Love the splats and drips with the Brick Wall 🙂 And the Plasma and Orbital stamps work so well together… such versatile background stamps! Back soon with more fantastic inspiration from the team. Hello 🙂 We are back with our second post today! So much inspiration! For my first card I’ve been playing and mixing the words from Alice set with Edgar from Visible Image. For the second one I’ve rediscover some foil, and just know I had some sticky embossing powder so I digged through my boxes and found it. So, everything on the card is covered with foil! You’ll find the set Rock Out here, and the circles are from the Universal set. 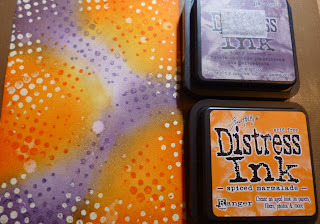 I stamped the rocker and words with Versa Mark ink, covered him with ”sticky embossing powerder” (there is several names on that product that acts the same, it becomes like a glue when you’ve melted it). Right after the powder melted I put on the sheet of foil. Then I just rubbed it easily with my nails like you do when you use rub-ons. You can probably use a bone folder or something too, just be gentle. You can see when the foil sticks and then you just pull it off. 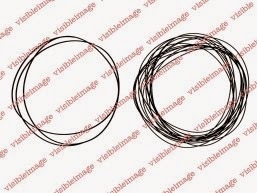 The line around is drawn by hand with a 2-way-glue pen. Let it ”dry” and then add the foil. I had a bigger 2-way glue pen, and I added that direct to my circle stamps and stamped with the glue! Waited until it was ”dry” and then added the foil once again. So easy and so fun! The golden circles are die cutted foam tape that I’ve added gold foil to. 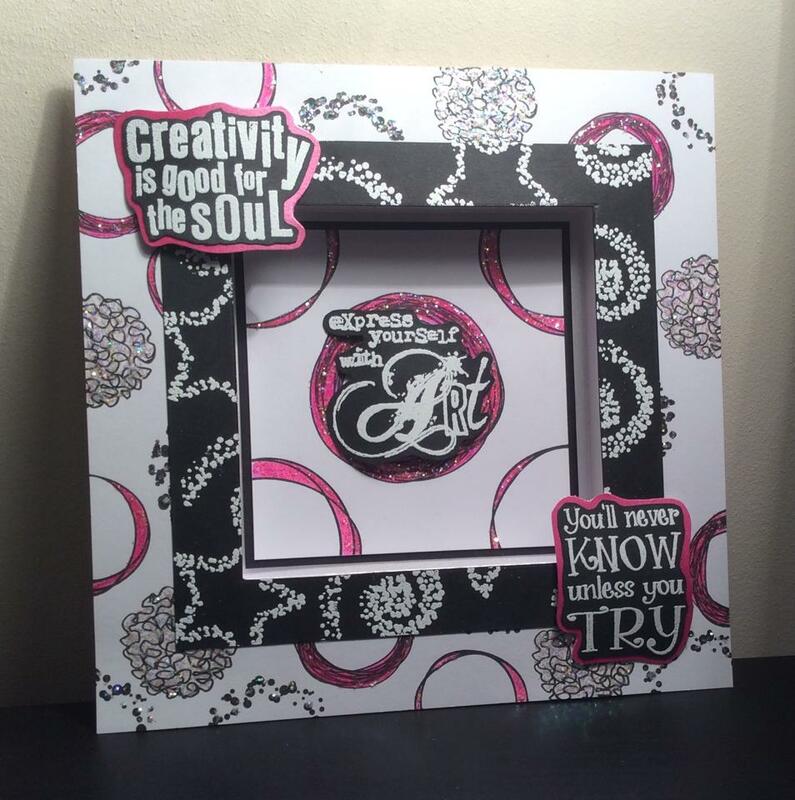 Embellishments: Bling, Metal Key, Therm-o-web foil. You will find all the amazing Visible Image Design Team inspiration on the BLOG Homepage. Come and JOIN the Facebook Group where you can enter our NEW ‘Show & Tell Challenge‘ for your chance to WIN some awesome Visible Image stamps! And don’t forget to LIKE the Visible Image FACEBOOK PAGE too. Two awesome cards from Lisa! Love that Wonderland quote with Edgar 🙂 Brilliant technique with the foil, that electric blue is stunning! 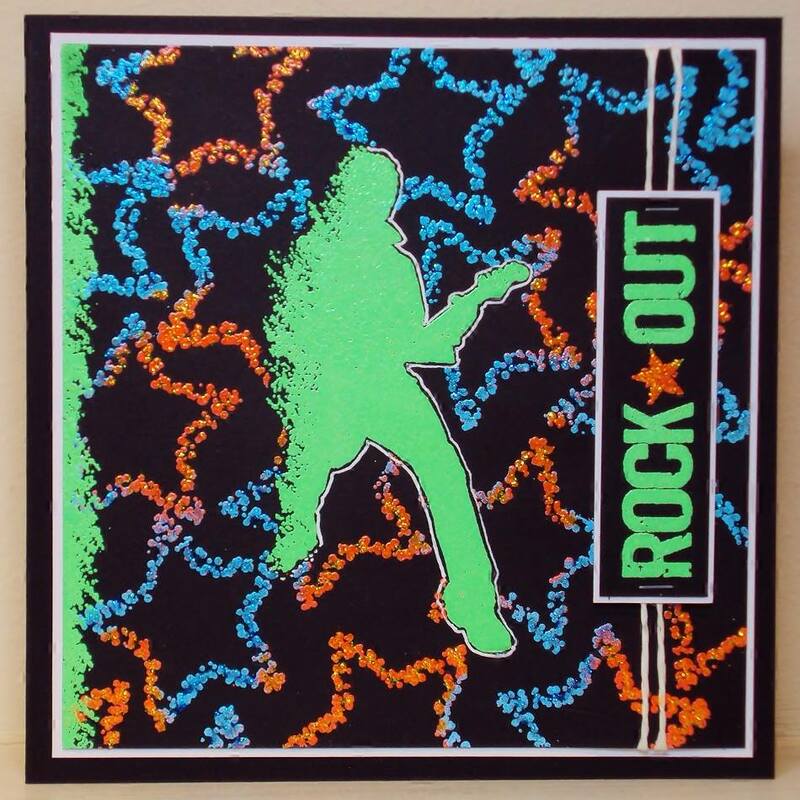 Don’t the orbital circles work perfectly with the rock out set. You’ll find more of Lisa’s fantastic work over on her blog. 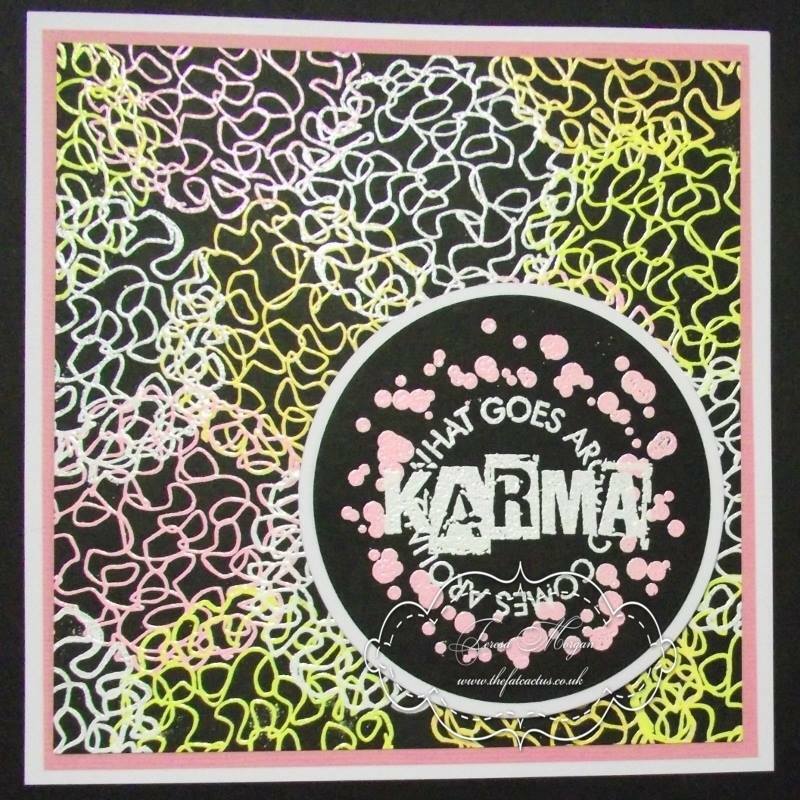 Don’t forget to show us what you have created with our stamps over in our Facebook Group for your chance to WIN some stamps at the end of the month 🙂 You will find all our stamps right here in our shop. Hey guys! Visible Image has a TON of new stamps! 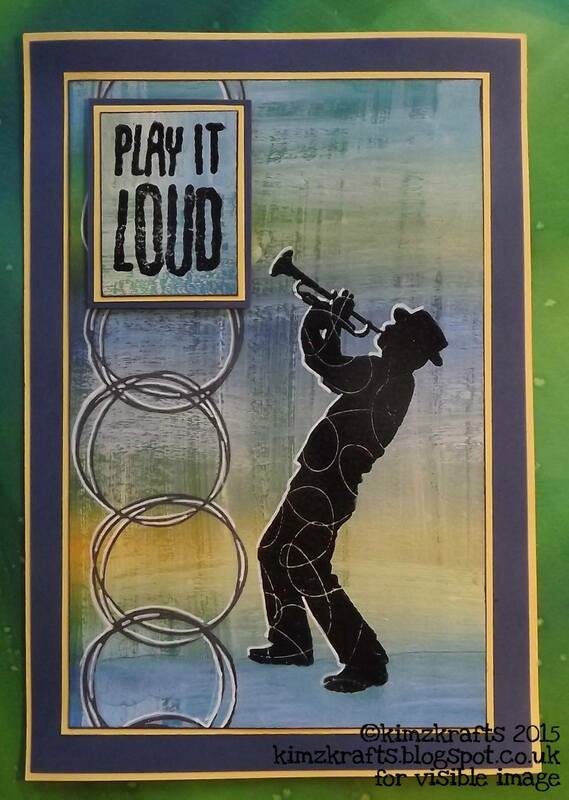 On today’s card I used Rock Out, and Universal. I started by stamping the circles in red and yellow. Next I stamped my rocker guy and heat embossed him with clear embossing powder. I drew a thin black border, and adhered my card front to a black card base. I stamped the sentiment in black, and again in yellow to add dimension. I adhered the sentiment strip to the card with foam adhesive. Don’t forget to join in on our March Show and Tell challenge! Come back later to see what Zoey has been creating this week. Lisa has been creating some truly stunning backgrounds, so make sure you pop back later on to see what she’s been making! I hope you all had some of the nice sunshine we had yesterday, it was good to leave work A. in the daylight and B. in the sunshine and no rain wow… could it be that Spring is starting to wake up.. Oh I hope so. Anyway I hope you are all doing well and I have a really different card for you today using a background stamp called Orbital from the new launch which really could be turned into anything, or used for anything. 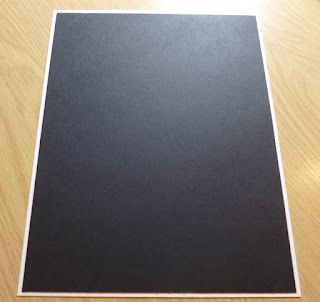 It could be used for mixed media and journalling also and would look great in white on black or in bright neons as a colour flash too. I used it in conjunction with one of the more recent word stamps with a different edge. I did lots of layering as usual to enhance the backing to keep it neat and added a couple of little wooden dragonflies colouring with inks to match and some sparkle to catch the light in a couple of the corners and on the body of the dragonflies too. I love the colour combination of teal and duckegg blue with latte and browns. I also blended some Vintage photo distress ink over the edges to make it pop from the white and black of the background too. Heres is the background alone so you can see the mix of colours on the backing with the layers etc before I go in with the sentiment raised up on foam for dimension. 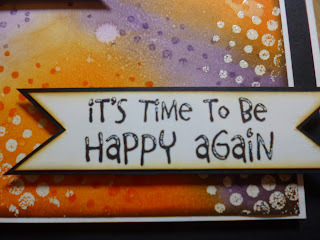 I stamped out my sentiment from the Express yourself range of sentiment stamps from the Be Happy set and cut it out with a small tonic circle die and inked through the die like a stencil to give it a faint blue tone and cut a mat a little larger in black for it to sit on. 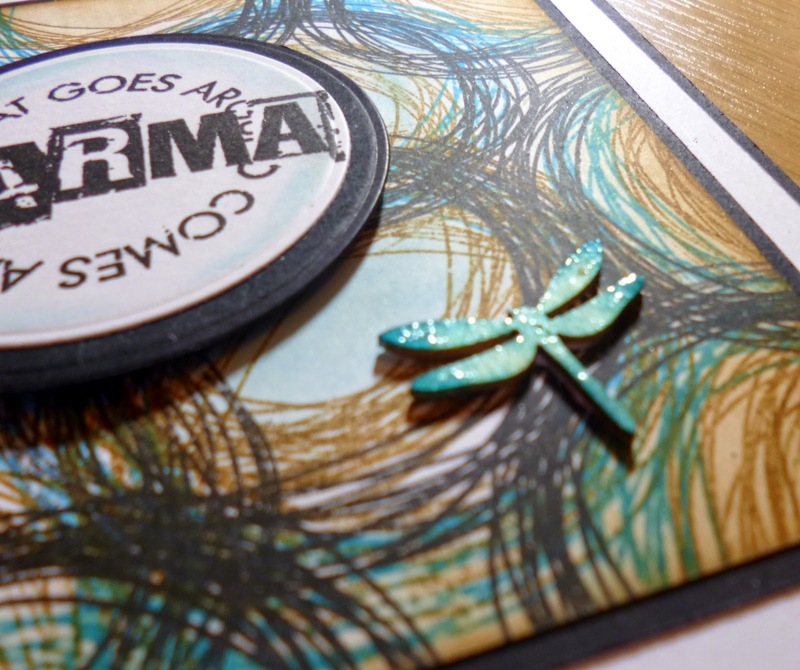 This is a close up of the little sparkle on the dragonfly and how the sentiment is slightly raised from the card. This is slightly flatter without all the frills on this one so it could easily be posted in an average envelope as opposed to my usual embelished style. Another look at the finished results, I know this saying is sometimes used if someone is upset with another and people say this as a just deserts, and they will get theirs type thing, but this was never originally meant this way. 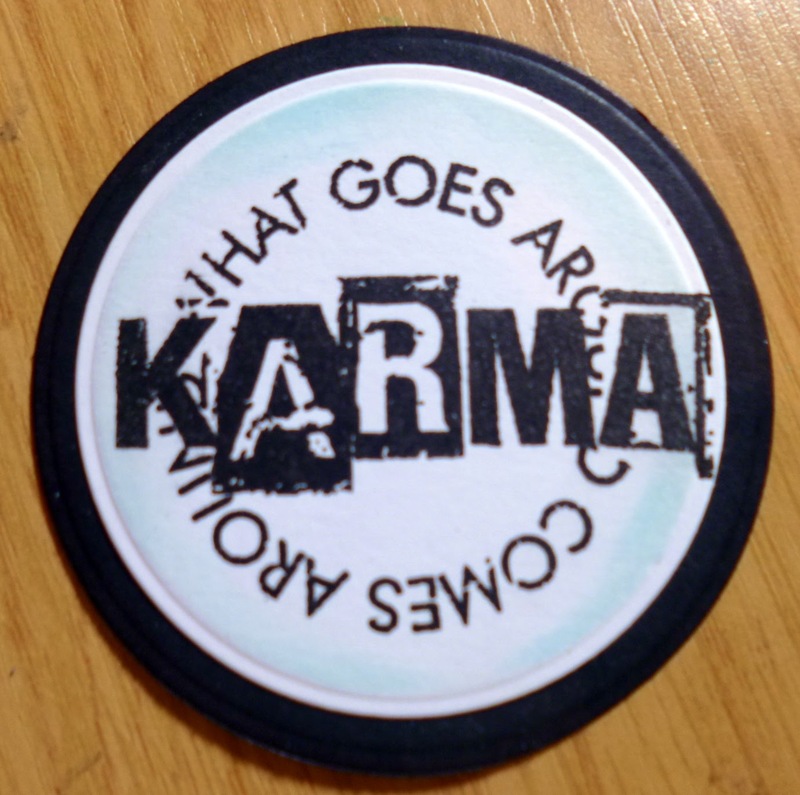 It was a much more philosophical saying more for a good deed and how folks would be rewarded in richness of life and after life for kindness in this life, so then you see it with new eyes don’t you. But mostly I just like how the little card flows for such a simple stamp an the possibilities are endless. Orbital Background. 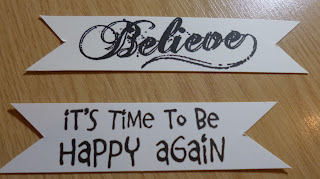 Be Happy stamp set. These are the stamp sets I used and you can see how they all have sooo many uses , the possibillities are so endless here I sometimes look at lots of stamps and get a little lost as there are so many beautiful stamps to choose but if I limit myself to choosing just two or three and working with that I have so many more ideas so sometimes it is worth keeping it really simple. Join our group – where you’ll find our monthly ‘show & tell’ challenge to win stamps! You will also find us on twitter, pinterest and Instagram… so whichever you prefer, follow us and we will bring our daily inspiration straight to you! Hello! Good Morning, Afternoon or Evening… depending on where in the world you are! It”s a new month which means its a NEW ‘Show and Tell’ challenge so get making and enter and you can win some new stamps to add to your collection! It’s a beautiful day here in South Wales today, blue skies and sunshine, but so cold! Hello! Welcome back to all you regular readers of the blog but a MAHOOOSIVE welcome to any new readers today! It is such a privilege to do what I do and I love letting other people know all about the fab stamps that Visible Image let me play work with! All the links to the Visible Image website, blog, challenges, etc can be found at the bottom of this post. Also over on the ‘about us’ page you will see links to the other DT members blogs. We publish all through the week, each one of us on a different day, hopefully inspiring you to get creative with your Visible Image stash. 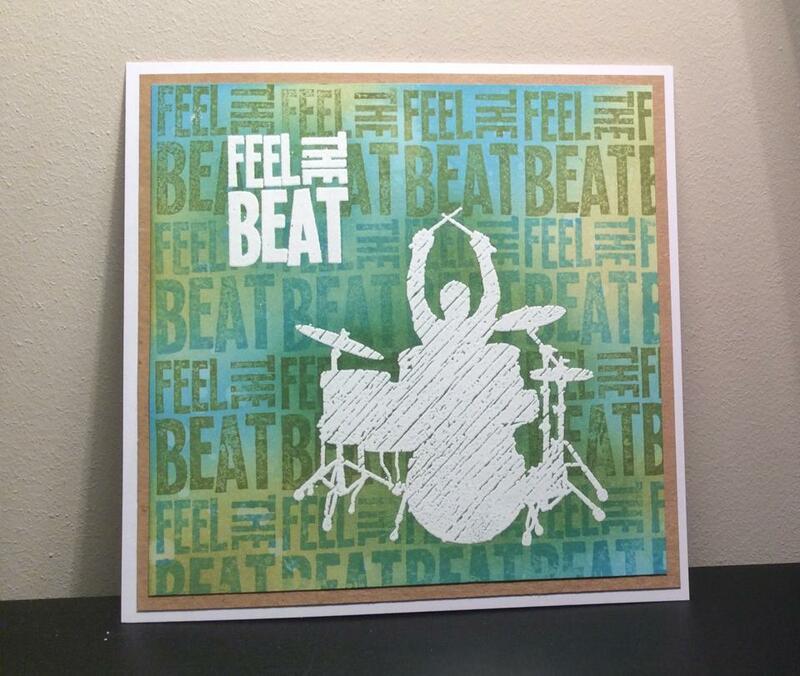 Each DT member creates something using stamps from the range of their choice and using their own techniques. So whether you like CAS work, full on embellished pieces, cards, paint, inks, sprays, there is always something different going on with Visible Image. Today I am showing you a useful project in the form of a gift bag. Now I used a gift bag board template. There are several on the market and there are also lots of How2s on YouTube telling you the steps to follow if you don’t have a board template. The main thing for this project is in the making of the patterned paper. I know I tell you this regularly, but making your own backgrounds is such fun, as well as meaning you have totally co-ordinated papers for your project! I started with an A3 sheet of card. I coloured it with Brusho paints. Check out YouTube for some inspiring techniques. This piece required lots of watery splotches. I mixed Brusho powder with water to make a wash in the 3 colours I wanted to use. You only need a small amount of powder for this as it’s quite potent stuff! You can always make more! I will show you in the How2 I’m planning OK? I will make time this week to do it. Once dry I took the large squiggle and small squiggle, and stamped them all over the page using inks in shades of green and blue.The stamps are officially called Plasma (the large one) and Universal (the smaller one from 6 piece set) but squiggle works for me. 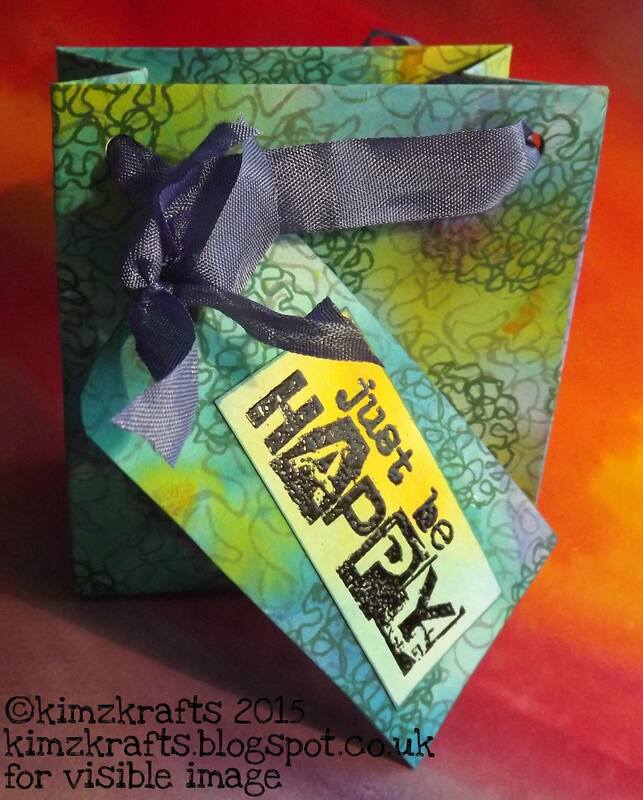 I made the tag and added the sentiment which is from the Be Happy set in the Express Yourself collection which I have embossed in black. All the stamp images I used below are ‘click to link’ so you can have a look in more detail on the Visible Image website. Right, here are the links I was telling you about, enjoy! Click HERE to find out about the Show & Tell challenge – It links to the group where you can upload your projects and tell us all about them for a chance to WIN some stamps! 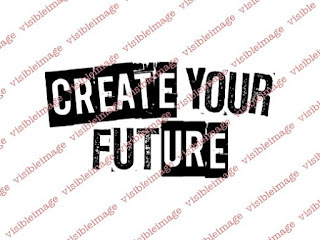 Click HERE to go to the Visible Image blog homepage, to see DT inspiration projects and check out the Projects Gallery too! P.S. Why am I late today? Well, there are lots of things to do in my part of the world and sometimes ‘LIFE’ takes you by the hand and says ‘come play’. Today we are launching 24 NEW stamp sets! So Exciting! They are all available to pre-order right now… release date is Saturday 21st February. We’re very excited about this collection! Something that little bit different! And really versatile! 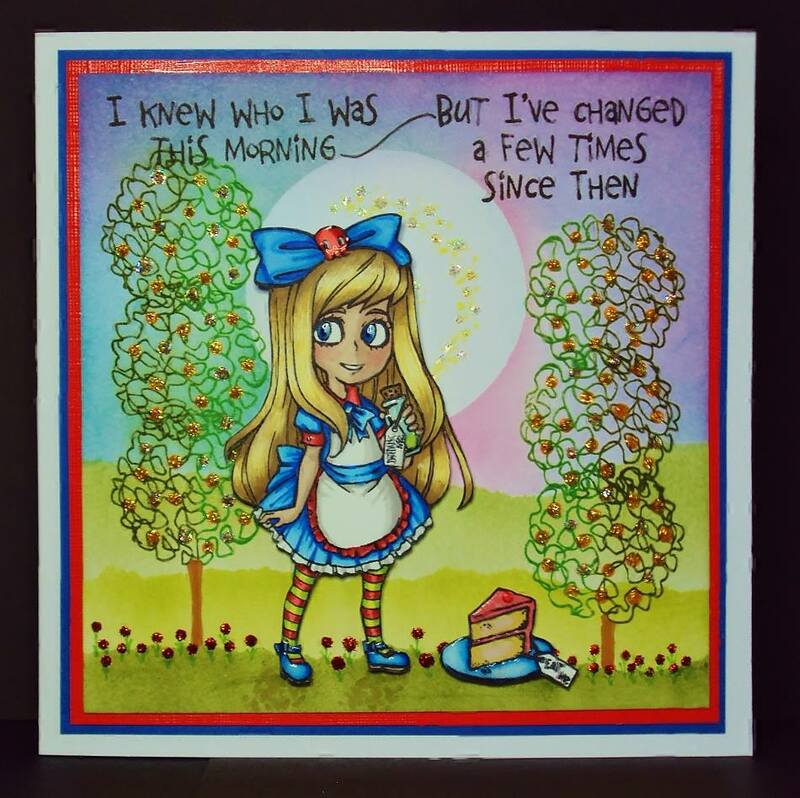 If you didn’t already know, the amazing Lewis Carroll’s Alice in Wonderland is 150 years old this year! Anyone for a tea party?! Absolutely timeless characters! And of course, in true Visible Image style, they each have their own unique set! SO… 24 NEW sets! Unique designs, gorgeously thick, deeply etched, clear photopolymer stamps. We hope you love them Leave us a comment telling us which is your favourite! And be sure to join our Facebook Group too! You will find full details, prices, and images of the NEW stamps HERE… You can pre-order your favourites right now! I hope none of you are suffering too much from the Winter weather we have been having of late, it’s just been cold and dark here in Warwick, with a tiny bit of Sun occasionally. Today I’d like to share a card I’ve made using some fabulous Visible Image Stamps. I have used…… Take Risks, from the Be Happy Set, one of the fab new set’s in the Express Yourself range, Vintage Car, Bronte Script, Retro Dots Background, and the grungy edge stamp from the Jake Skates Set. I started with the background, a piece of water colour paper, on which I sprinkled Brusho paints, and spritzed with water, until I had the effect I wanted. 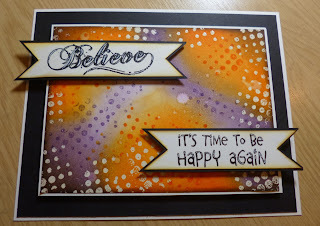 When it was dry, I stamped the Bronte script and the Retro Dots, using Distress inks, then using Versafine Black ink, I stamped the Vintage Car, the sentiment and the edging. Using thick household bleach and a small paintbrush, I beached all the bits I wanted white on the car and the words, and used a white pen to highlight the sentiment, Simplezzzzzz !!!! You will find all the amazing Visible Image Design Team inspiration over on the BLOG. Come and JOIN the Facebook Group where you can enter our NEW ‘Show & Tell Challenge’ for your chance to WIN some awesome Visible Image stamps! And don’t forget to LIKE the Visible Image FACEBOOK PAGE too! Come back and see us here tomorrow for more amazing inspiration created with Visible Image stamps! Imagine. Create. 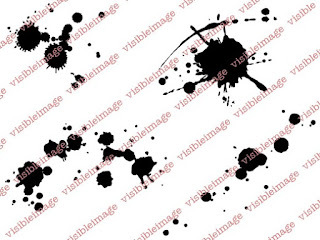 Visible Image stamps. Hello again! Happy Saturday to you 🙂 Hope you have a great evening planned. Today I wanted to share a page out of my watercolor art journal. I started by watercoloring my background. Next I used stencils to sponge and spritz some polkadots. Then I went crazy with stamps! I used six different Visible Image stamps. 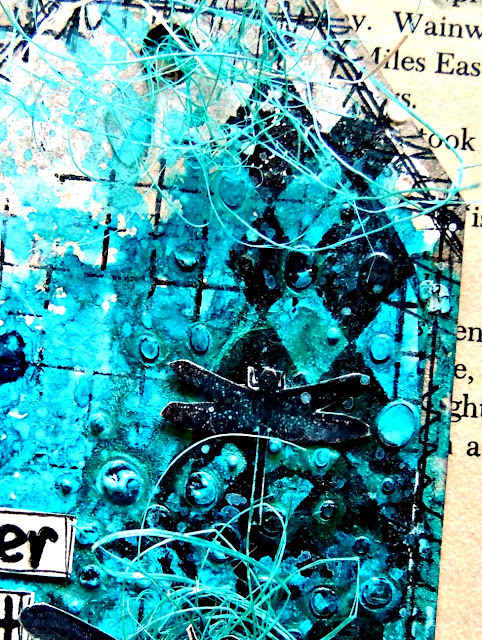 I especially love how the plaid background stamp looks on art journal pages. And how awesome is that sentiment stamp!? Love it! Did you see our LOVEly NEW stamps yet? You’ll find them HERE! Head over and LIKE our Facebook PAGE too! You’ll also find us on twitter, Pinterest and Instagram So whatever is your preferred social media site, you’ll find us there! We’ll be back tomorrow with more fantastic inspiration for you! Bye for now! And thanks for stopping by.